Say No to Sulfates - Dangers Chemicals in Health Products? Home | Chemical Ingredients | Say No To Sulfates! Most of us are used to having soaps and shampoos form a lather when we use them and it’s a common misconception that lather alone is responsible for cleaner skin or hair. In truth, the chemical that is most frequently used to help achieve this lather is called Sodium Lauryl/Laureth Sulfate and is actually considered a highly toxic chemical. So it stands to reason that it should be banned from products – as who would want something that is a known hazard on their skin and in their bodies.However, the trappings of mass manufacturing prevent this from happening because business dictates that profit is always a priority and SLS is a cheap and effective replacement for natural surfactants, which means manufacturers can increase their profit margin on their products. So as it stands, SLS and other harmful chemical surfactants still remain a large component of most of the cleansing products that we use on a regular basis. Only until recently people have finally realized that these chemicals are one of the largest contributors to bad health and have started to steer clear of them and even place bans on products that contain them (the EU is a good example of this). The best way to cut down on these chemicals is to know more about them, how they affect our bodies and which types of products your most likely to find them in. Research is your best weapon in this department and having the knowledge to identify the chemical, is the best way to avoid it. Sulfates are a detergent, used in many industries. In hair care products, the most common ones are sodium lauryl sulfate (SLS), sodium laureth sulfate (SLES), ammonium laureth sulfate, and ammonium lauryl sulfate. 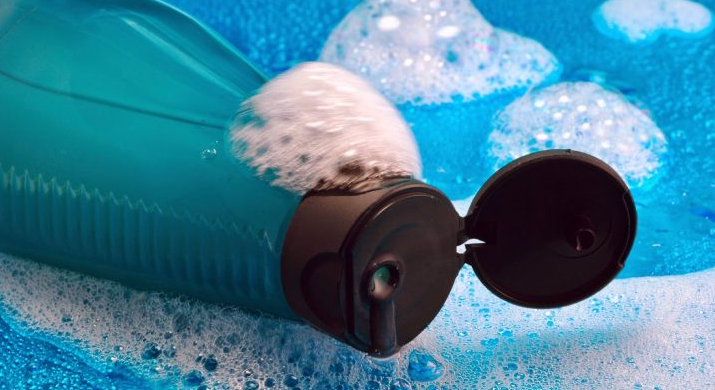 Sulfates give off the false pretense of a better clean due to their foaming properties – but are actually very harmful. On paper, these substances may sound great. They make the shampoo sudsy, and help your hair look all foamy and lathery when using them. They give the impression that the shampoo is doing its job. However, aside from acting as a foaming agent, sulfates also irritate the skin. 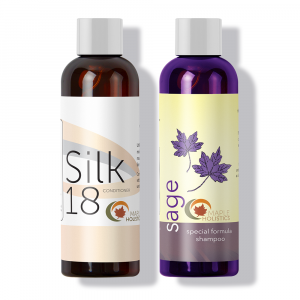 The sulfates irritate your skin through stripping your scalp of its sebum – its natural oils. 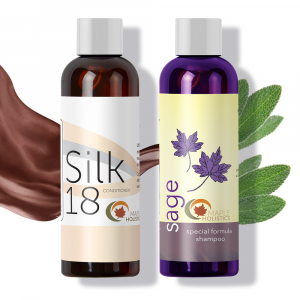 Using sulfates on your scalp and hair can cause the scalp to lose its natural oils completely, leaving it dry and flakey. The hair may also suffer, because the roots of your hair count on the scalp’s natural oils for nourishment and sustenance. The first thing to note when using products that contain SLS is that it was originally patented as a pesticide and herbicide. Yes, that’s correct – the same stuff that you use to wash your hair, hands and teeth with was originally intended to kill things with. So if that isn’t enough to make you reconsider using product that contain SLS or SLES – then I hope the rest of this section will help to open your eyes to hazards of this stuff. On a molecular level, the exact effects of the chemical on your skin are quite shocking. The American College of Toxicology has been quoted as saying that SLS has “a degenerative effect on the cell membranes because of its protein denaturing properties”. This basically means that it breaks down the cells on your skin and slows down mitosis which means your skin fails to replenish itself properly.It also dries out your skin by stripping away the protective oils that keep your skin hydrated. This can speed up the signs of aging, cause the formation of degenerative skin disorders like psoriasis and dermatitis as well encouraging the formation of dandruff. One of the most harmful aspects of this chemical is that it breaks down the cells of your skin, making it easier for other harmful chemicals to penetrate the surface of the skin and slip into your bloodstream. This means that you’re more vulnerable to the damage caused by these chemicals and ultimately, your health will suffer more in the long run. Basically, this stuff should be avoided at all costs – but instead, manufacturers seem to find more ways to include it in more products, more of the time. Sadly, this means that we’re left with fewer options when it comes to finding a suitable alternative for our own health – in this case, going natural as soon as possible. Most of the cleaning products in your home are bound to contain some amount of SLS in them. as body washes, shampoos, mouth washes, household soaps (cleaning detergents) and makeup. Even if these products claim to be ‘natural’ or sulfate free, the likelihood is that they’ve simply replaced one harmful chemical with another or still contain a large amount of other harmful chemicals that may have a similar effect on your skin and overall health. So if you’re concerned about SLS or SLES and it’s effects on your body in general, the truth is that your only real option is to cut out as many conventional cleaning products as you can so that you limit the amount of sodium lauryl sulfate that you come into contact with. Unfortunately, companies are far less likely to change their ways to suit our views as consumers and ewven if that does happen – it will take years. So it’s best to get off the chemical train sooner rather than later. People suffering from dandruff have a variety of products to choose from. The supermarket and pharmacy aisles are filled with anti dandruff shampoo and conditioner options. Only problem is, many of these products contain parabens and sulfates, which may seem like a quick fix but have the potential to seriously harm your hair and scalp in the long run. 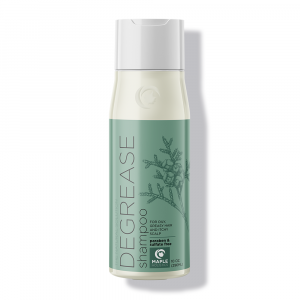 Getting a sulfate free dandruff shampoo, like those based on sage, eucalyptus, or tea tree is ideal for those who wish to get rid of annoying dandruff, itchy scalp, and redness. The best thing to do is simply read the ingredients. If you find you need an on-hand chemist or pharmacist in order to read the back of a bottle of shampoo – perhaps consider getting out of the supermarket or pharmacy. 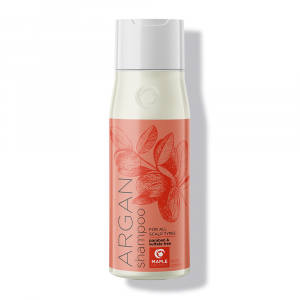 Get to a health food store, or get online, and treat yourself to a shampoo that is natural. I’ll be honest and say that it took me a month or two to notice any real differences when I started cutting products out of my daily cleansing routine which contained SLS – but this is largely because it took me a while to isolate all the various sources. 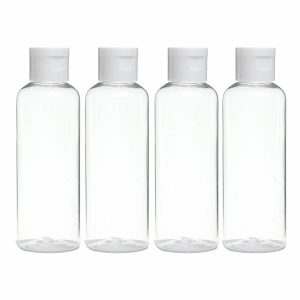 However, once they were fully out of my routine and my body had the chance to start recovering from the continued chemical abuse that I had put it through for so long, I noticed that my skin didn’t dry up as easily as it used and my complexion became smoother and less inflamed in certain areas. The most notable benefits were with regards to my hair and the differences were well worth making the switch. My hair was smoother and softer, my dandruff cleared up almost instantly and I noticed that my hair started growing a lot faster too. It was easier to manage and style and tended to hold moisture much easier than it did when I was stuck using products that were loaded with SLS. I think, gauging the quality of my hair now and thinking back to how much of a hassle it was to deal with before making the switch, I’d never go back to using conventional shampoos or conditioners on a regular basis. I think you’ll agree once you make the shift as well. This is not about health buzzwords or trends. This is about what you are putting into your body. Simply put: chemicals and substances which are in skin and hair care products are quickly absorbed through the skin, and they end up in your bloodstream in no time at all. It is important to be flake-free, but it is even more important to treat yourself and your body properly, and avoid using harmful products when not necessary. This is kind of how I feel about these products I see. 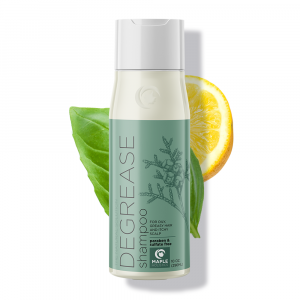 I feel it would be best to spare us the harmful artificial fragrances and unnatural preservatives, also known as parabens, and give us a product that may not look as amazing on the outside, but that leaves your hair and scalp feeling healthy and alive. Sulfates are used to create suds, fragrances are used to give a pleasing scent, and parabens are used to keep bacteria and microbes out. All of this sounds great when you put it that way. However, the flip side is that many of these ingredients are harmful. People have different heads, different scalps and hair types. What works for one may not work for the other. 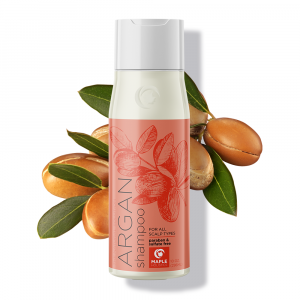 When it comes to natural products, and especially sulfate-free dandruff shampoo, it is a process of trial and error. Eventually, you will find the shampoo and conditioner that is right for you. Take care of yourself! Your scalp and hair will thank you.